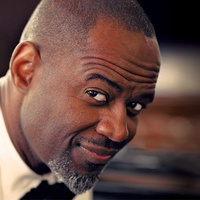 As an artist who needs no introduction, Brian McKnight has gained international and domestic recognition, earning himself a spot in contemporary music history. He has released 19 albums to date over the past 25 years, selling over 30 million albums worldwide. In addition to being a singer, songwriter and producer, McKnight is also a multi-instrumentalist who plays nine instruments, including piano, guitar, bass, drums, percussions, trombone, tuba, flugelhorn and trumpet. With 16 Grammy award nominations and numerous chart-topping songs, McKnight has established himself as a musical legacy.